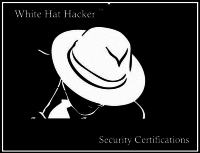 This certification, the Certified WhiteHat Engineer (CWE), was specifically designed as an intermediate-level hacking certification. It is the perfect, next step for those who have achieved the CWA certification. Generally, this exam is for those with some (1-3 years) of experience in the information security field and want to take the next step in their careers. In addition, the prospective CWE is expected to understand some basic BASH scripting and to be able to exploit a vulnerable system. This is the intermediate level hacking/pentesting certification. One must pass both a written exam and then hack a vulmerable system to be certified.